Hypertension is a worldwide epidemic and public health concern. Awareness is key to blood pressure control. The story provides a general review for managing hypertension. Early detection and control can mean the difference between ongoing health and a hypertension-related condition. The World Health Report 2002 identified high blood pressure as the “third-ranked factor for disability-adjusted life years.” Recent analyses show 972 million people worldwide are living with hypertension and that the number will escalate to 1.56 billion by the year 2025. Uncontrolled hypertension is a significant cause of disability and premature death throughout the world. In the United States alone, according to the Centers for Disease Control and Prevention, (CDC), hypertension affects approximately 75 million adults (32%). The condition occurs from the long-term force of the blood pushing against your artery walls. If it becomes high enough you are at risk for heart disease and stroke, the leading causes of death in the United States. A CDC infographic shows that high blood pressure was a primary cause of death in 410,000 Americans, or 1100 Americans each day. High blood pressure is a recognized condition that develops over time. It affects most people at some point in their lives. In spite of its prevalence, only 56% of those with high blood pressure are aware they have the condition. Improved awareness is key to slowing this fast-moving epidemic of hypertension. Most people know how high blood pressure is taken. Blood pressure cuffs measure the amount of blood your heart pumps into your arteries and the amount of resistance present in your arteries. The more blood your heart pumps and the narrower your arteries, the higher your blood pressure. Determining your blood pressure is a routine part of any doctor’s appointment. However, many people don’t see a doctor unless they feel ill or are worried something is wrong with them physically. So, a person could go for years never knowing they have hypertension. The signs and symptoms of high blood pressure are virtually invisible, even at perilously high levels. But even if you feel fine, you may have high blood pressure which, left untreated, causes damage to blood vessels and your heart. Occasionally people will experience symptoms but not associate them with high blood pressure. These include headaches, shortness of breath or nosebleeds. But none of these occur until blood pressure has reached a severe or life-threatening stage. If you experience any of these symptoms consistently, consult your health care professional right away. If you don’t see a doctor regularly, but want to know if your blood pressure falls within normal ranges, find out if any health fairs are in your area. Those events typically offer free blood pressure screenings as a community service. In the alternative, some pharmacies or other kinds of health-related stores may have a nurse or doctor on staff who will perform this quick test for you free of charge. If there is a blood pressure machine in your pharmacy, you can get a blood pressure reading. Since the accuracy of these machines varies, the range will only be approximate. It’s best to have your pressure taken by a healthcare professional. Primary, or essential hypertension and secondary hypertension are the two types of high blood pressure. Primary hypertension develops gradually over many years. There is no specific cause, which is one of the reasons for monitoring your blood pressure as you age. You could be fine for years, and then one day discover you’re affected. Alcohol abuse or chronic alcohol use. Congenital defects in blood vessels. Illegal drugs, such as cocaine and amphetamines. Some medications, such as birth control pills and over-the-counter and prescription drugs. Some factors can put you at risk for high blood pressure, some of which you can manage through lifestyle. While the following list is not all-inclusive, it provides many of the situations, or habits, that that can lead to hypertension. 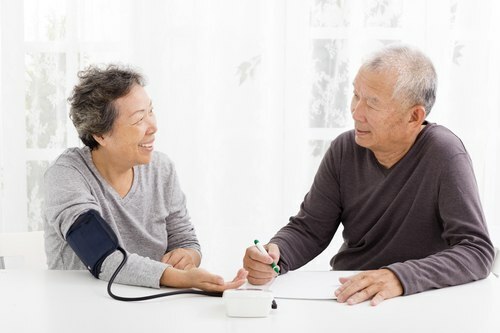 Age – Blood pressure tends to increase with age. Dietary habits – Too much sodium or too little potassium intake can increase blood pressure. Drinking too much alcohol – Over time, many organs, including the heart, can be damaged through heavy drinking. Ethnic group and gender – High blood pressure affects men and women differently. It also varies by ethnic group. The following chart from the CDC gives a breakdown. 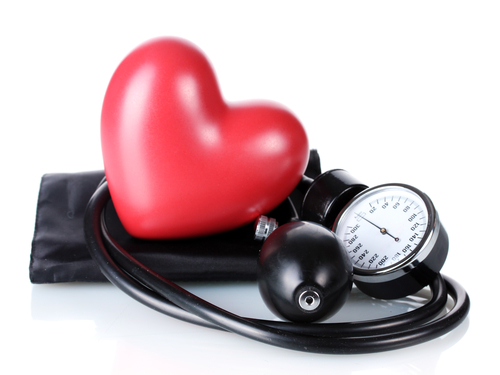 Family history – If members of your family have high blood pressure, you may also develop it. Being overweight or obese – The more you weigh, the more blood you need to supply oxygen and nutrients to your tissues, increasing the pressure on your artery walls. Not being physically active – Inactivity leads to higher heart rates because the heart must work harder. Stress – High levels of stress create multiple health issues, including an increase in blood pressure. Tobacco use – Smoking or chewing tobacco immediately raises your blood pressure for a short period. Additionally, chemicals in tobacco can create hypertension because they narrow your arteries. Secondhand smoke also can increase your blood pressure. Although high blood pressure is most common in adults, children may be at risk, too. In some cases, heart and kidney problems are root causes. Other contributing factors include lack of exercise, obesity, unhealthy eating habits, and poor lifestyle habits overall. Damage to blood vessels and organs in your body are caused by excessive pressure on your artery walls. Significant damages could occur with ever-increasing blood pressure that remains untreated. Some of these complications may impair your organs which can be life-threatening. Thickened, narrowed or torn blood vessels in the eyes which can result in loss of vision. Weakened and narrowed blood vessels in your kidneys. As you may be aware, two numbers are measured when taking blood pressure. Systolic pressure is a higher number since it is your blood pressure when your heart beats and pumps blood through your arteries. Diastolic pressure is a lower number since it is your blood pressure in between heartbeats when your heart is not pumping. Although both numbers are significant, doctors tend to pay more attention to systolic blood pressure, or the top figure because it could mean a person is at risk for cardiovascular disease. The risk increases for people 50 years or older. Elevated blood pressure. Your blood pressure is high when the systolic pressure ranges from 120 to 129 mm Hg and the diastolic pressure is below 80 mm Hg. Unless steps are taken to control blood pressure, it will worsen over time. If you are on medication and your doctor notes a systolic reading over 180 and/or a diastolic reading over 120, he or she will adjust your medication if you have no other problems. If you are taking your blood pressure at home and notice these ranges, see your physician immediately. Bear in mind these are only guidelines. Factors such as age, family history, insufficient exercise, and excessive sodium in your diet, can affect your blood pressure. Some of these factors are situational. When resolved, blood pressure may return to normal ranges. So, an isolated high blood pressure reading may not be indicative of a problem. If readings remain elevated after a series of measurements taken over days or weeks, then see your healthcare professional. With the new 2017 NHLBI blood pressure ranges, you may wonder if you now could have high blood pressure even if you’ve never had it before. Or, if you’ve already been diagnosed with hypertension, it’s possible your medication no longer provides a low enough reading. Check with your healthcare professional. Once you have a baseline blood pressure reading, you can monitor it at home. To do so, you will need a monitor. Although there are different types, the monitor that is the most popular and straightforward is a digital monitor. Readings are automatic and appear on a small screen. Although these are more expensive than finger and wrist blood pressure monitors, or even ones with dial gauges, they are more accurate. Be still and ensure at least 5 minutes of quiet rest before measuring. For 30 minutes prior to measuring your blood pressure, don’t smoke, ingest caffeine or exercise. Sitting in a straight-backed chair, ensure both of your feet are flat on the floor. Support your arm on a flat surface such as a table with the upper arm at heart level.Place the middle of the cuff directly above the bend of the elbow. Check your monitor’s instructions for proper use. It’s important to take the readings at the same time each day, such as morning and evening especially in the first 2 weeks after a change in treatment, and throughout the week before your next appointment. Take multiple readings and record the results. Each time you measure, take two or three readings one minute apart and record the results using a printable or online tracker. If your monitor has built-in memory to store your readings, take it with you to your appointments. In some cases you may be able to upload your readings to a secure website. It is also important when taking blood pressure readings that you record the date and time of day as well as the systolic and diastolic measurements. The information is valuable to your doctor. If you’re uncertain how to use your home monitor, ask your healthcare provider to teach you. Changing lifestyle habits is pivotal to reversing the epidemic trend of high blood pressure. The following adjustments to your daily regime can help. Maintain a healthy weight or lose weight if necessary. Practice relaxation and deep breathing. While making changes in your lifestyle can go a long way toward controlling high blood pressure, they may not be enough. If that’s the case, your doctor may recommend medication in addition to improving your diet and lifestyle to lower your blood pressure. If you must take medicine, take it as directed and see your doctor regularly. High blood pressure is not curable. But prevention and treatment can keep your numbers at normal levels. Sticking to lifestyle changes can be challenging, but if you need motivation, remember the risks associated with uncontrolled high blood pressure. Begin your career as an allied health professional today! The Apprentice Doctor® Suturing Course and Kit is a resource that will teach you how to suture wounds in a couple of hours! If you want to become a Surgeon – why not learn how to suture wounds now? The Apprentice Doctor® Phlebotomy Course and Kit is a resource that will teach you How to confidently perform phlebotomy procedures in a couple of hours! If you want to become a great medical professional – why not learn how to perform venipuncture procedures now? You may also be interested in reading Vital Signs – What Do They Reveal? World Health Report 2002. Reducing risks, promoting healthy life. World Health Organization; Geneva: 2002. [PubMed]. v WHO Global Report: Preventing chronic diseases: A vital investment. World Health Organization; Geneva: 2005. Kochanek KD, Xu JQ, Murphy SL, Miniño AM, Kung HC. Deaths: final data for 2009[PDF-3M]. Nat Vital Stat Rep. 2011;60(3):1-117. The American Heart Association, (https://www.heart.org/HEARTORG/Conditions/HighBloodPressure/KnowYourNumbers/Monitoring-Your-Blood-Pressure-at-Home_UCM_301874_Article.jsp#.Wi0dQnfMzuQ). Chockalingam, A, Campbell, N, Fodor, JG, 2006, Worldwide epidemic of hypertension (Taken on May 4, 2018 from the US National Library of Medicine National Institutes of Health https://www.ncbi.nlm.nih.gov/pmc/articles/PMC2560860/).